Note: This post contains affiliate links, which means I will be compensated if you make a purchase after clicking on my links. This is at no cost to you, and helps support my blog! I don't know that I've mentioned it before, but my husband is also a Pre-K teacher--at least, for a few more weeks. He's almost finished with his degree in Marriage and Family Therapy, but for the time being, he's teaching littles, like me. We joke that between both of us teaching Pre-K, and having two toddlers of our own, our whole life revolves around early childhood! But that gives us a great opportunity to bounce ideas off of each other, and to support each other in our work. Recently, my husband was doing an animal unit, and he had the most awesome display outside his classroom. Is that cool, or what? Seriously, I wish I could take credit for it. He is awesome at this kind of stuff. This got my wheels turning, and made me think..."Oooh, the kids would love it if I buried some plastic bones in the sensory table and gave them tools to excavate." 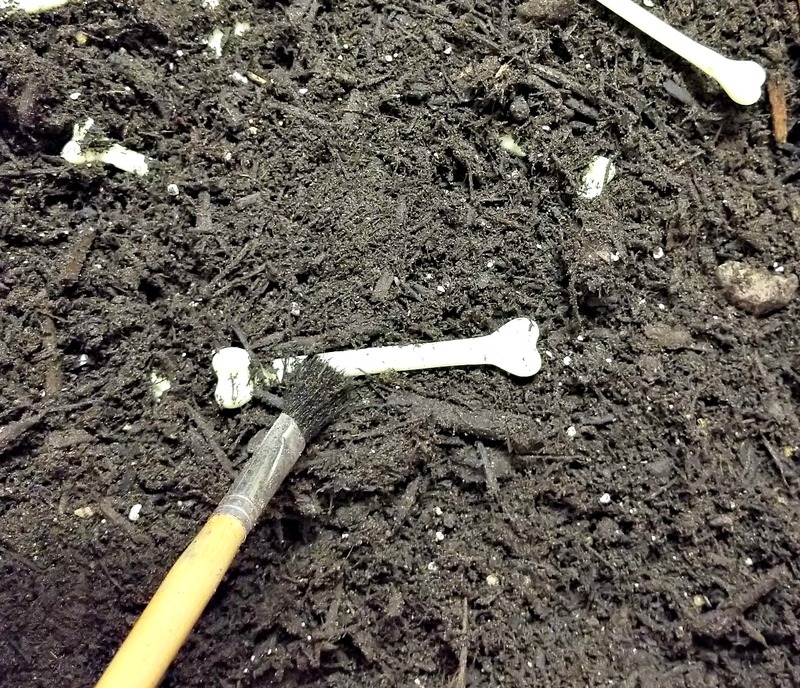 So, after doing an Amazon search and finding some plastic bones (that weren't meant for dogs), that's just what I did! This was the wrong time of year for it, though. When Halloween stuff comes out, I bet it will be much easier to find toy bones! I buried the bones in dirt, and gave them paintbrushes and kid-safe magnifying glasses. It was the cutest thing ever, and the kids had a ball! 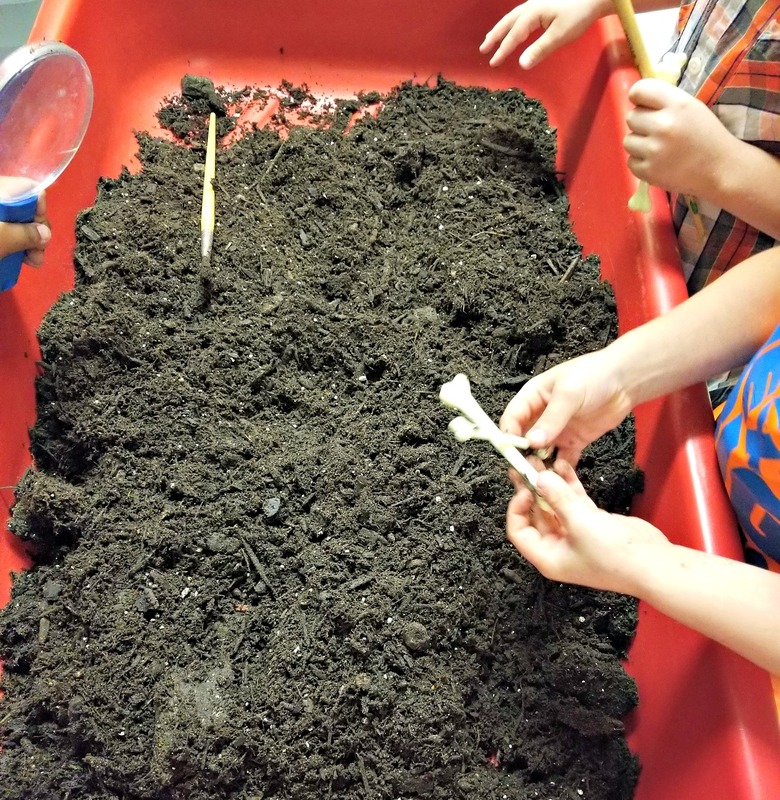 The potting soil we used may have made my classroom smell like a freshly planted garden, but that was a small price to pay. This quickly became one of their favorite learning labs. 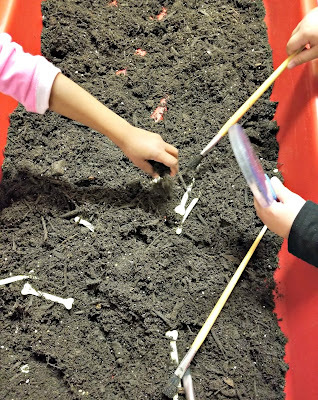 They learned new words, like "archaeologist". 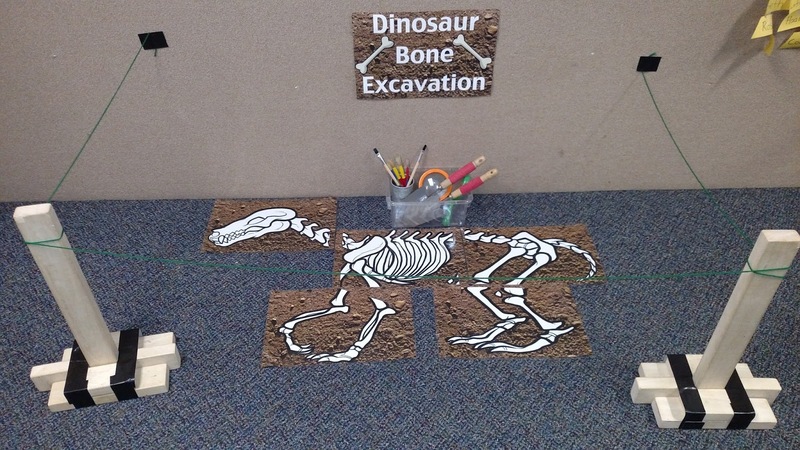 Their little imaginations were working, too, as they told me about the types of dinosaurs they were finding. 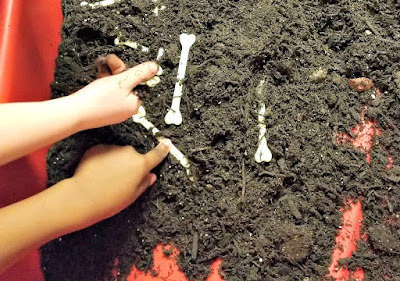 Even most of my "neater" kids weren't shy about just digging their hands into the dirt. 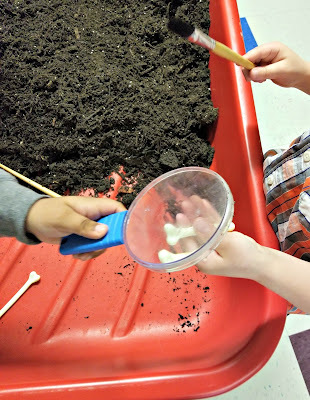 I love labs like this that combine sensory play and imaginary play. The longer I teach early childhood, the more I'm realizing the importance of sensory processing in young children. 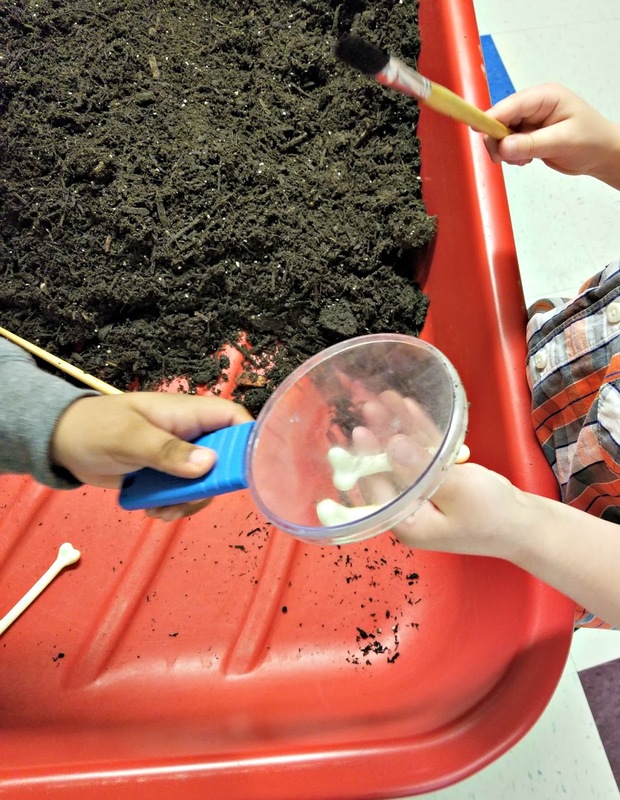 What are some of your favorite sensory activities for young learners?